As a Kemetic Reiki Practioner I combine Energy Healing and Balancing with my Moms and Dads mostly during the pregnancy. I haven't had a person yet come to me to ask for Energy Balancing prior to conception or even fertility but I invision with the shift that is taking place energetically and spiritually I will have more parents who seek this natural attunement. This was a thoughtful article concerning preparation and I felt it most appropriate to cast upon the archieve of information here. Reiki is practiced in the early days of the pregnancy helps reduce exhaustion and nausea in the pregnant woman. It also brings relief to every part of a stretched and aching body of the woman. Reiki used during labor stage has been shown to control and lessen pain to a greater extent. Mothers who have had previous c-sections and receive Reiki in later pregnancies can expect lesser need for cesarean surgeries in the second time. Mothers who use Reiki during and after pregnancy can better adjust to their babies and vise versa. Reiki also helps to come out of the fears related to pregnancy and delivery. It soothes a woman who feels invaded and impatient to give birth. Reiki provides a unique opportunity, for the father-to-be as he can bond with his baby when it is in the mother’s womb. If you are attuned, you can give your baby Reiki whenever you hold and nurse it after birth. It is more than a notion handling all that comes with be pregnant and have to try to balance pregnancy with Epilespsy too. Read and learn the many facts and guides from these articles from Web MD & advanced studies by Dr. Weil. Visit "Cheryl's Herbs" and view a list of herbs that are known to assist with treating Epilepsy but as always check with your regular Physician, OBGYN & Midwife before the use of any herb or supplement. The progeny of our species depends highly on what we consume and overall our awareness to the chemical war against the human race. This informative serves as perfect example of chemicals developed over time and their adverse affects on the endocrine systems in our male babies/children especially. This will help my Mommy's select better and choose wiser to the products they use during and after pregnancy. please see the link to view DOC Zone videos for they are said not to be available in this country. Great information and reading of African Wombmen and Indigenous connections. My last reminder on how important the glands are brings me to the next point. We are approaching the Spring Solstice March 21st and this typically means for me that its clearing time of my body and mind with more raw foods, meditation,pampering, baths, journaling, study and deeper self reflection. We should understand how important our temples functioning properly mean existing here on the planet. For Women who are already Mothers or are planning to become pregnant I would definitely suggest that you begin your clearing process during this upcoming Solstice. Take detox tea, (I use either Yogi or Traditional Medicinal detox teas) 1 gentle herbal laxative like cascara sagrada or Dr. Goss "New Body" products. Depending on the season you can drink watermelon juice only. Drink throughout day to speed alkaline effects in your body. No watermelon? Mid Morning---take carrot or mixed veggie drink (add dulse or kelp flakes to veggie drink). Lunch---bowl of miso soup, sprinkle dulse (& nutritional yeast if desired). Dinner---Potassium Broth, (see colonic cleanse for recipe). Before Bed---have apple/pineapple or papaya juice and blend a fig if you have one. ***Make sure you are at home when you cleanse starting over a weekend so you can be in the comfort of your own space to release waste & rest when needed. Try this for 4 days and increase each time you do it up to 7 days. Get your vitamin C in and your Omegas. Enemas are good too as long as you administer them every other day of your cleanse. take spiritual baths in 3-4 drops lemon oil and 2 drops geranium with 2 cups epson salts 2 cups dead sea salts & 1/4 cup baking soda. Or add 2 drops of majoram, lavender, bergamont, chamomile oils and 1 drop ylang ylang oil. Set intention for your bath as you add your oils. What do you want to see for yourself after the bath? Healthy, Healed, Whole, No tension, Anxiety, Disease free, etc. Speak your healing for yourself!!! Visualize your glandular detox happening. See your glands free from blockage, stress and disease. See your body energized, motivated, clear and charged! Start with what you can and do the best with what you have and incorporate more as you go along. Contact me for support whenever you need to, I'm learning and doing right along with you. I am also a produce purveyor, Our Farm is in Bloomington, CA so in the event you'd like to order a produce box and have it delivered to you just let me know. The Mammary Glands are profound. Glands period are. When I look at my breasts I see life giving, nurturing parts of the whole that supported someones beginning. Breastfeeding Mommy's should read this especially. It is our duty to protect them as it is all the rest of us while we are here. Will it forth & it will be. From my readings on our glands I've found that Our glands work at our body's deepest level. Glands are embedded throughout the body. Every biochemical reaction flows with the glands and is said to be a key to our health as we move through this experience. exocirine are regulated by the hypothalamus just as the salivary & MAMMARYS. Mommy's read this!!! They secrete fluids through ducts. endocrine, pituitary, pineal and ovaries emit their secretions, mostly hormones into Our bloodstream and lymph system. exocrine system chemical messengers are hormones who communicate and have a serious effect on both glands. are extra-ordinarily affected by deficiencies like in minerals & on every level thinkable from environment, foods & poor nutrition, pollutants, etc. Lastly, adrenals get stressed out too. So let us learn what we can regarding our adrenals and how to better support and assist them while we are here. 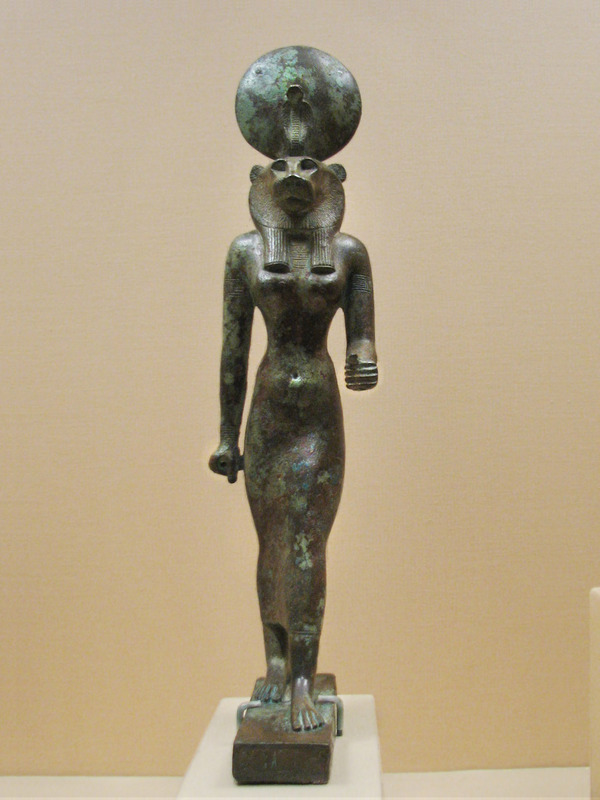 I transcend the Energy of Wadjet my Green Mother. Mother who bends healing and assists me to assist Mommy's during birth. Read more about Wadjet here. Yemoja! 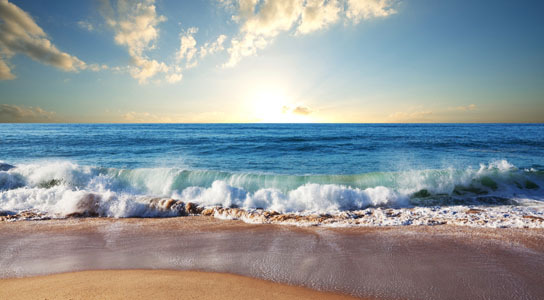 Give thanks for Our Ocean as she provides thousands of healing cures for us. Take a look at this information and see how that short trip to the beach may help you! Powerful Vaginal Balancer does her waters contain! All Respect to the Great Mother Healer Yemoja! Any testimonies? I have one. My SUN Zeru has chronic eczema and we know a lot of it has to do with what he eats but even then when we are strict with his dietary intake of yeasty breads and sugars he still flares from what we think to be pollen and allergen microbes in our atmosphere. All I have to do is take him to the beach and let him swim for a while and he clears up. Cause when you think about it, the water is coming through his nose and he is swallowing bits as well. Since he was a toddler he would automatically off the top be drawn to and eat sea weed bulbs from off the shore. My intuition tells me that was and is to satisfy his iodine intake and balance any overage of yeast in his body. So imagine the power of sea water ingested to clear vaginal infections? How has Yemoja helped you and if you haven't had any experiences then do you plan to create some? Is Home Birth Safe for Black Women? A great article concerning myths and assertions made by medical professionals regarding the practice of black women giving birth at home and Certified Nurse Midwives being capable to support births at home. "VegMama" brings awareness to the subject as to the powerful role CPM's play in the birthing process in any birth setting. And she states..."Not only are there no professionals qualified to address the topic in the piece, but the unqualified professionals are allowed to present their opinions as facts when there is much evidence to the contrary. The first obstetrician calls home birthing “medically foolish” because she worries about what would happen in the case of complications. Why is physician aware of the fact that CPMs are trained to recognize complications. This is why study after study has shown that planned home births attended by qualified and experienced midwives have either comparable of better rates of perinatal mortality. These physicians should not be allowed to push their opinions as facts. I’m sorry sister Chika, but the jury is not still out on this topic. The evidence is overwhelming and any of the amazing home birth midwives in the NYC metro area, of which a few are Black women, would probably conveyed as much. There’s also the International Center for Traditional Childbearing, a professional organization of Black birth workers of color with many members who are providers of home birth services to African-American women." Family! This book is so powerful filled with powerful healing remedies & cures along with healthy and nutritional recipes and more. Authored by Mama Nia Yaa, Founder of RA Sekhi Temple of Healing Arts and RA Sekhi Practitioners including myself. Experience elevation in your life by purchasing one today for it will surely help you in reaching your goals in improving your Family's health and lifestyle. This book sales for $12.95. Inbox me for ordering details.